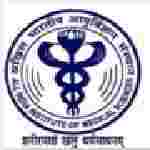 Chhattisgarh AIIMS Research Fellow recruitment 2016-17 apply online: All India institute of medical science (AIIMS) welcomes application for the position junior research fellow for project entitled “Technology Enablement management to solutions for hearing repaired. Candidates who completed their Post – graduation degree, graduate is a good opportunity.The individuals who are the occupation seekers searching for govt employments in Chhattisgarh this is the best chance to apply. Competitors read the official notification then read all the guidelines and miners precisely then apply before the last date online application got. All the interested and eligible candidates can appear walk-in – interview on 18th July 2016. Candidates Age Limit: The age of the candidate should not be less than 21 years and should not be more than 35 years as on 9th May 2016. Academic qualification details: Candidates should have post – graduation degree in basic science with NET qualification or graduate degree in professional course with NET qualification or post – graduation degree in professional course. Process of selection for the job: The selection of the candidates will be on the basis of walk – in – interview that will be held at Committee room , Medical college building, All Indian Institute of Medical science, Raipur, Tatibandh, G.E road, Raipur:- 492099 on 18th July 2016 at 10.00 a.m. Process of applying for the job: Candidates may appear interview along with prescribed application form / original documents and self – attested copies of relevant documents at the time of interview that will be held at Committee room , Medical college building, All Indian Institute of Medical science, Raipur, Tatibandh, G.E road, Raipur:- 492099 on 18th July 2016 at 10.00 a.m. Details and Address of interview: Interested and eligible applicants applying for the position of junior research fellow may appear interview that will be held at Committee room , Medical college building, All Indian Institute of Medical science, Raipur, Tatibandh, G.E road, Raipur:- 492099 on 18th July 2016 at 10.00 a.m. Important Dates: All the interested and eligible candidates can appear walk-in – interview on 18th July 2016.